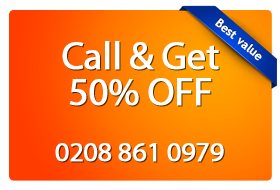 For the busy Londoners, Magic Carpet Cleaning offer amazing cleaning services! Since we started, properties in Putney SW15 are cleaner, neater, fresher and the living and working environment is better than ever before, thanks to our professional cleaners. We are concerned about the future of the planet, so we use green cleaning materials. We do NOT rely on hidden conditions and charges, because we lead a policy of transparent and honest relationships with clients who have decided to trust us. We guarantee a hundred percent clean surfaces until you verify that you are satisfied with the results! Ask our experts in the specific page for Putney NOW! You deserve the best cleaning service – and Magic Carpet Cleaning is here to provide it for you! Our certified cleaners achieve optimum results in the overall cleaning of homes and offices. When using Steam Cleaning, it destroys allergens present on the treated surfaces by hot water. Therefore, this treatment is preferred by people prone to allergies and families with children. The following explains, how this method works – the water with chemicals are injected under pressure into the rug, and then they extracted with professional machine. Accordingly, dust and dirt are removed together with the water and 99% efficiency is achieved. We recommend dry compound cleaning for places with high human activity. These include office buildings and shopping malls. The delicate fabrics are protected. 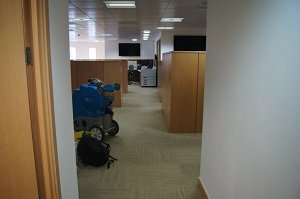 Our team works with specialized equipment through which chemicals in powder form are rubbed in the soiled carpets. Then the dust and mud are extracted by vacuum leaving refreshed surfaces behind. Dry compound is an extremely fast method to wash large areas, without closing the property for visitors. If you have dirty carpets with coffee spots or traces of wine, food, chewing gum, chocolate and contamination of another type, search the purity specialists of Magic Carpet Cleaning. They are certified by the leading training organisations in our industry to work with professional equipment. They achieve maximum results using products of any origin – acid, alkaloids, etc. Our cleaners successfully maintain residences and offices, leaving behind renewed synthetic and natural flooring. Magic Carpet Cleaning is available for people living or working in Putney SW15. We are equipped to maintain all surfaces in your house or office. All you have to do is call us at 0208 861 0979 and get all the information you need. Get your free quote now!